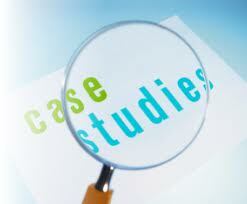 A case study is a collection of facts and data based on a real or hypothetical business situation. The goal of a case study is to enhance your ability to solve business problems, using a logical framework. The issues in a case are generally not unique to a specific person, firm, or industry, and they often deal with more than one retail strategy element. Sometimes, the material presented in a case may be in conflict. For example, two managers may disagree about a strategy or there may be several interpretations of the same facts. Presentation of the facts surrounding the case. Identification of the key issues. Listing of alternative courses of action that could be taken. Evaluation of alternative courses of action. Recommendation of the best course of action. It is helpful to read a case until you are comfortable with the information in it. Re-readings often are an aid to comprehending facts, possible strategies, or questions that need clarification and were not apparent earlier. In studying a case, assume you are a retail consultant hired by the firm. While facts should be accepted as true, statements, judgments, and decisions made by the individuals in a case should be questioned, especially if not supported by facts—or when one individual disagrees with another. During your reading of the case, you should underline crucial facts, interpret figures and charts, critically review the comments made by individuals, judge the rationality of past and current decisions, and prepare questions whose answers would be useful in addressing the key issue(s). The facts stated in a case often point to the key issue(s) facing a retailer, such as new opportunities, a changing environment, a decline in competitive position, or excess inventories. Identify the characteristics and ramifications of the issue(s) and examine them, using the material in the case and the text. Sometimes, you must delve deeply because the key issue(s) and their characteristics may not be immediately obvious. Next, alternative actions pertaining to the key issue(s) in the case are listed. Consider courses of action based on their suitability to the firm and situation. Thus, the promotion strategy for a small neighborhood stationery store would not be proper for a large gift store located in a regional shopping center. Proposed courses of action should take into account such factors as the business category, goals, the customer market, the overall strategy, the product assortment, competition, legal restrictions, economic trends, marketplace trends, financial capabilities, personnel capabilities, and sources of supply. Evaluate each potential option, according to case data, the key issue(s), the strategic concepts in the text, and the firm’s environment. Specific criteria should be used and each option analyzed on the basis of them. The ramifications and risks associated with each alternative should be considered. Important data not included in the case should be mentioned. Be sure your analysis is not just a case summary. You will be critiqued by your professor on the basis of how well you identify key issues or problems, outline and assess alternative courses of action, and reach realistic conclusions (that take the retailer’s size, competition, image, and so on into consideration). You need to show a good understanding of both the principles of strategic retail management and the case. Be precise about which alternative is more desirable for the retailer in its current context. Remember, your goal is to apply a logical reasoning process to retailing. A written report must demonstrate this process. Report on Pharmaceutical Marketing of Orion Laboratories Ltd.